吉隆玻甲洞帝沙鹤功輔導站 CSCQ Kepong Station Kuala Lumpur: Story of the day - Xu Zhe : " Love makes life younger"
Story of the day - Xu Zhe : " Love makes life younger"
She is 111 years old this year (2010). Small built and agile, she has grey hair, excellent hearing, and eyesight. She is one compassionate person who has helped others her entire life. In 1898, 24th year of Guang Xu ruling in the Qing Dynasty, China was amidst internal revolt and foreign invasion; on the outside, the great powers forcefully occupied lands by means of guns and cannons. They leased harbors and docks of Hong Kong while eyeing for opportunity to invade; on the inside, the cult, Yi He Quan (義和拳), caused turmoil in the country in the name of “destroying the westerners to restore the Qing Dynasty”. Flames and smokes of war were seen everywhere in the country causing agitation and uneasiness among the people. In that particular year, Xu Zhe (許哲) was born in a remote village in Shan Tou in Guang Dong province . This remote village in the countryside seemed untouched by the warfare raging through China . People in the village worked in the day and retreated when the sun set, living their usual quiet farm life. In this poor family that lived by means of farming, the birth of Xu Zhe was not celebrated. Although her birth brought about the addition of a helping hand to the chores, it also meant the addition of a mouth to be fed. Xu Zhe did not have a happy childhood. She had to help with many chores every day; in the early morning, she had to wash clothes by the river, after which she had to pick and pluck medicine herbs from the hills. Upon returning home, she had to do handicrafts to help support the family with the exiguous wage. Clever, sensible and hardworking as Xu Zhe, helping in and out with the chores, did not earn her the affection of her father’s; more often than not, she would be scolded and beaten up for petty matters. These memories of the past are still unbearable to Xu Zhe even after one hundred years. Later, due to unforeseen happenings, their mother with her four children, Xu Zhe, her younger brother, her elder and younger sisters, left Guang Zhou for Penang in Malaysia to seek shelter from their relatives. Back at that time, Xu Zhe was already over 20 years old yet an illiterate. More than a century ago, the traditional Chinese society regards men as superior to women. Women had low status in the society, not to say receiving education. Xu Zhe, not educated, can only work as a cleaning lady. However, she was very determined to find any opportunities to receive education. The nuns were very kind and they agreed to Xu Zhe’s request. Xu Zhe was allowed to stay in a room behind the convent. The rent was four dollars a month set off by cleaning, floor mopping, clothes washing and other chores. That was how Xu Zhe first started schooling at her age of 27. After wishing for 20 years, being able to attend school was a dream came true for Xu Zhe. She acquired knowledge eagerly as though a dry sponge soaked in water, hungrily absorbing as much water as it could. Although she needed to do a lot of chores after school, she was indeed happy and satisfied like never before. Those days, society was conservative and traditional. A woman who remained single after the age of 20 would be called an “old nun” which connoted that she was either too bad-tempered or sick that no one wanted to marry her. Xu Zhe was nearly 30 years old and being single attracted unnecessary concerns of some people. Matchmakers would come to her house everyday and the doorsills were almost leveled by these women who liked to interfere with other people’s business. “Mother, should these people come next time, I would shut the front door.” Watching her mother troubled by these people, Xu Zhe felt annoyed. “They are our relatives and friends; we could not shut them away.” Said her mother. “In that case, I’d better run away.” Xu Zhe told her mother. Her mother never thought she meant what she said. Unexpectedly, she left Penang for Hong Kong alone and unannounced, just to avoid those annoying matters. When she first landed in Hong Kong , Xu Zhe remained to work as a cleaner. One day, she read of a vacancy in the classified ad looking for a secretary to do shorthand and she immediately applied for the job. As she can fluently write Mandarin and English, Xu Zhe got the job successfully. In 1937, with the outburst of World War II, the world was swept into a war of power struggle by men’s ambitious desires. In 1939, Hong Kong was attacked by Japan and Xu Zhe’s company was moved to Chong Qing by her employer, and so was her. In Chong Qing, Xu Zhe worked as before, proficiently. Simultaneously, Chiang Kai-Shek’s Nationalist Party Government also moved to Chong Qing. Through the connection of her boss, Xu Zhe has helped Chiang Kai-Shek and Song Mei Ling wrote English News to the English and American Newspaper Office in Chong Qing at that time. Those days, Xu Zhe had a wealthy and luxurious life. The average monthly pay of the people was 20 dollars but she was already receiving pay as high as 150 dollars a month. The war reached Chong Qing and the formerly peaceful mountain village was visited by many refugees and wounded soldiers. At one time, a troop of English rescue team came to Chong Qing. It was sent by the anti-war peace organization and was made up of teenagers, about the age of 17 or 18, who were serving the military. First time away from home in a countryside, knowing no one and not understanding the local language, they were rather not used to the living there. As Xu Zhe spoke English, they requested for Xu Zhe to help in the rescue team. Knowing that it’s an anti-war rescue organization, Xu Zhe resigned her job, without the slightest hesitation, from her highly-paid job to join them. In the team, Xu Zhe became a “mother” to those away-from-home teenagers. She became their translator, cleaned and cooked for them, washed their clothes, and took care of their daily lives. When the war ended, the rescue team returned to England after spending 4 years in Chong Qing. In 1945, Xu Zhe aspired to attend nursing school because she felt deeply attached to the poor and sick. 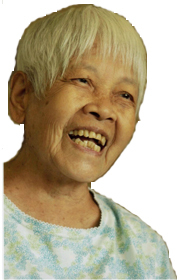 She wished to learn nursing in order to help the old, the poor and the sick in the future. Back then, the entrance age to nursing school was 17 to 25 years old. Being an “old student” at her age of 47, it had seemed impossible for the school to take her in. Xu Zhe, however, was not discouraged. She wrote to the Principal and expressed her desire. And in her letter, she wrote, “I do this not for myself but to help more poor people.” Those words touched the Principal and Xu Zhe was accepted into the nursing program exceptionally. Nursing school took her 8 years and Xu Zhe learnt diligently. She learnt all aspects of health care and nursing; nursing of children to the old, of birth to death and of body and soul. She quietly made an aspiration to herself to contribute all she had learnt, the knowledge and the skills, to the needy especially the sick, the old, and the poor. Xu Zhe graduated from nursing school in year 1953. One day she received a letter sent from “Bruderhof” in South America , Paraquay. It was a frathernity formed by 21 countries (22 including Xu Zhe’s country) since 1933. In order to escape from the persecution of Hitler, the Jews came to South America . On this large piece of land, they self-supplied on their own efforts. When their lives were settled and they had extra resources, they decided to set up a refuge to take in the white who drifted away from their homelands. Later, the refuge also doctored the poor, the sick, and the helpless local people. One of the members in the organization wrote to invite Xu Zhe to join them in Paraquay as he met Xu Zhe in China before and knew that she aspired to unconditionally dedicate herself to helping the poor and the sick. When Xu Zhe came to understand that Bruderhof was a charity organization that took in only the poor, coincidentally sharing her belief of “the world as one family”, she left for Paraquay determinedly. The Bruderhof was simple and primitive. There were only three doctors with many patients to look after. As Xu Zhe was the only nurse in the refuge, she took on an extraordinarily big workload. Although the work in the refuge was voluntary, unpaid, heavy and tiring, Xu Zhe was happy at heart all along. Being able to contribute what she had learnt to help the poor, relieving them from their sickness and suffering comforted Xu Zhe. In year 1961, Xu Zhe who had left her mother for more than thirty years unexpectedly received a letter from her mother. In the letter, her mother of eight-four years old mentioned that, “there are poor people everywhere in the world, but only one mother to you. I am getting old, do come home.” Those were the words that brought Xu Zhe far away in Paraquay back to Penang . For thirty years since Xu Zhe left Penang for Hong Kong, she had then moved to Chong Qing , England , and Paraquay by a twist of fate. Now she was back in her mother’s arms, a consolation to her mother who has long yearned for her to be back by her side. After staying in Penang for two years, Xu Zhe and her mother then moved to her elder sister in Singapore as her younger sister went to England for treatment of her heart disease. In Singapore , Xu Zhe came to know of a hospital for the poor from her elder sister. Since its establishment in 1910 till now, the hospital had never had a nurse. There were about 380 patients in the hospital back then and because of inadequacy of medical staffs, the patients were not given proper care. And so, she recommended herself to the hospital to take care of the patients. Throughout her life, Xu Zhe has worked as a voluntary staff except when she was a Secretary that she was paid. “I went to that hospital because they didn’t have any money and they were not able to employ a nurse. And that, was the reason I went.” That was the thinking pattern of Xu Zhe which was different from ordinary people. In Xu Zhe’s opinion, if a hospital was funded, it could have easily employed a nurse to take care of the patients. However, the hospital for the poor was not funded and that was the reason why nobody was willing to work there. So, she went and worked there. “It is not that I especially like to take care of the poor, but that they needed it. Even the poor needs to be taken care of and loved.” Said Xu Zhe. After working in the hospital for two years seven months and nineteen days, Xu Zhe decided to set up her own “nursing home for the senior citizens”. One of the main reasons for this was that she felt sorry for the old folks who had to suffer from hunger. The old folks in the hospital were only given two meals a day; a cup of coffee at 7 in the morning, lunch at 12 afternoon, 2 pieces of biscuits at 1pm, dinner at 4pm, and a cup of coffee at 8 at night. From dinner at 4pm till lunch at 12 noon the next day, the old folks had to suffer from hunger for a solid twenty hours. To the weak and immobile old folks, as they lay on the bed doing nothing all night long, the only thing they could think of was how hungry they felt. Xu Zhe pitied them. She fought for an extra meal for the folks from the hospital, but the feedback she got was, “they are already very fortunate to be here, much better than if they stayed at home.” After talking to the authority a few times and not receiving the expected response, Xu Zhe was very disappointed. During that time, Xu Zhe’s sister was financially supporting her in purchasing breads for 380 patients every day. Xu Zhe would run up and down the stairs, personally deliver the breads to the patients. Her sister was much moved seeing what she did and decided to support her in setting up an nursing home for the senior citizens. In 1968, Xu Zhe’s “Home for the Aged Sick” was set up and had taken in 250 poor and sick, absolutely free of charge. In the early days of the set-up, all expenses of the old folks’ home was funded by Xu Zhe’s sister. According to Xu Zhe, “my sister led a very simple life, and she was supportive of my ideas. Whenever I needed funds, she would supply me with no questions asked.” In actual, the loving hearts Xu Zhe and her sisters had for the poor were inherited from their mothers. They followed their mother’s example since childhood. Although they were poor during their childhood, their mothers never refused any poor who came to their house for food; she would do anything within her means to share some food with them. Much influenced by their mother’s compassionate and kind deeds, Xu Zhe and her sisters developed compassionate and loving hearts; they were fond of giving and would selflessly help any persons in need. Sometime later, Xu Zhe’s sister passed away leaving all her estates to Xu Zhe. Xu Zhe spent those money buying houses for the poor. “One day, I dreamt that my sister was in the heaven. She wore a white dress, smiling to me, and her entire body was glowing brightly. I said to her, “sister, I want to go up there too.” My sister said, “No, not yet. There are many more things awaiting your attention.” Then I knew that she must be very happy that I spent all her money.” Xu Zhe smiled. The good efforts of Xu Zhe taking care of the old are gradually well accepted and acknowledged by the society. “Many kind people helped me with my work,” said Xu Zhe. “More than often, kind people would bring us an abundance of rice and vegetables, so much so that sometimes, we couldn’t even finish them. So I asked them whether I could share those rice and vegetables with other poor families?” with the consent of the sponsors, Xu Zhe would give away the extra rice to poor families. There was once she was taking care of 26 families simultaneously, the highest number of families ever recorded. Not only is Xu Zhe building old folks’ home in Singapore , she also assisted the local charity bodies in Malaysia , Thailand and Myanmar in setting up old folks’ homes. She has dedicated all her time and energy to the suffering people in the world. She stopped thinking about her own needs and she has not noticed the passing of time. At her age of 106, Xu Zhe looked like a person in her sixties or seventies. She has grey hair, smooth skin and glowing complexion, sharp ears and eyes, and her movements were agile. Every day she would meditate, read, exercise, do charity, and do yoga. Her energy level and physical condition is comparable to the young people. This is especially true when she demonstrates the yoga movements with her soft and flexible limbs; seeing her moves her body makes one hold one’s breath and grasp in admiration. She revealed the secret of her longevity as to work every day that she wakes up, to work without hesitation, and to be the voluntary worker of the society. At the same time, she is careful not to speak ill words, not to be unhappy, and not to eat food cooked with strong fire; she also refrains from meat, coffee, tea, and alcoholic drinks. That is how she remains serene and joyful all the time, both physically and mentally. Xu Zhe started learning yoga at the age of 69 and she talked about the wonderful experience of how her “dreams came true” in learning yoga. One day, as Xu Zhe was reading, something she loves to do very much, she read about the goodness of learning yoga. But what is yoga? She was not quite sure. “How I wish someone would explain what yoga is to me and teach me yoga,” she made a wish in her heart. And the strangest thing happened. A few days after she made the wish to learn yoga, a man came to visit her old folks’ home. He wore an orange long shirt and an orange hat. “Are you a monk?” asked Xu Zhe. “Yes, I am.” Said the man. 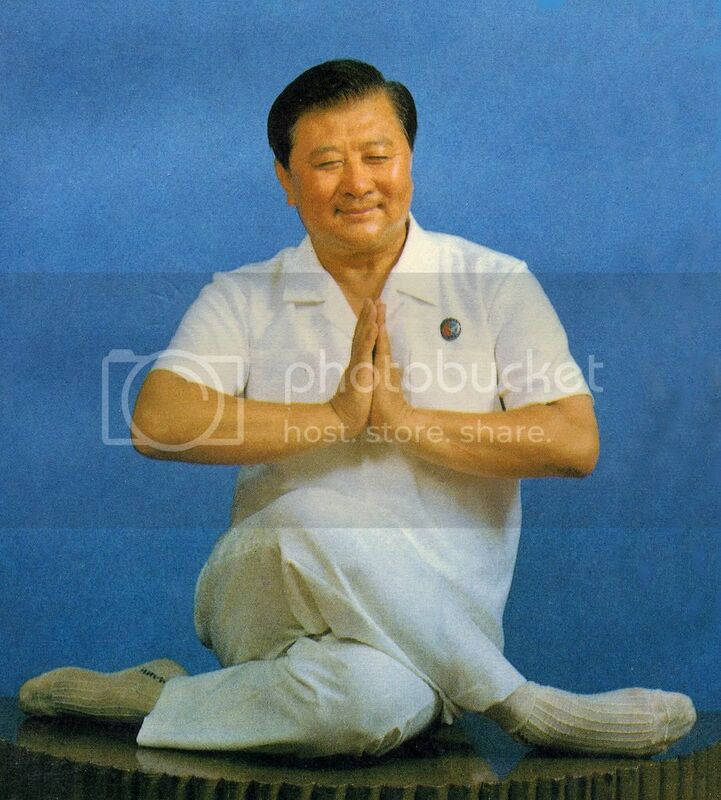 “Do you teach yoga?” Xu Zhe asked. “Yes, my job is to teach yoga.” Answered the man. As though the goddess has heard Xu Zhe’s prayers and sent the yoga teacher to her. Since then, Xu Zhe started to learn yoga and meditation from the teacher. With yoga, her body that was already healthy became even stronger and her energy level also became better. Of course, the good effort of dedicating herself to the poor and sick itself would harvest her the good karma of having a healthy body and a long life. Thank you for sharing "story of xu zhe " I wish her good health and longevity. 5, [url=http://www.nexiumpricewatch.net/] Nexium Online[/url] - Nexium Online - buy nexium http://www.nexiumpricewatch.net/ .